Police are investigating whether the mischief and vandalism at a total of four farms in Clinton and China are related. Authorities are investigating whether reports of vandals setting cows free at farms in China this week are related to similar incidents at farms in Clinton a week ago. A farmer on Stanley Hill Road in China discovered Tuesday that some of his cows had been released from a pen, according to sheriff’s Deputy Aaron Moody. One lock on the pen gate was broken and another was missing, Moody said. The incident was reported to police at 9:10 a.m. Tuesday. Moody said he didn’t recall how many cows had been let out, but said it wasn’t nearly as many as were released at the Misty Meadow Farm in Clinton last week. The FBI called Clinton police Wednesday morning to ask whether the incidents might have been the work of extreme environmental or animal rights groups, according to Clinton police officer Karl Roy. The farm vandalism is more likely the work of juveniles, not extreme groups, Roy said. “Quite often when you’re dealing with these extreme groups, they’ll want you to know they did it,” he said, explaining that they often take credit for such vandalism, and that hasn’t happened. In Clinton, one dairy farm was hit twice on the same night last week. 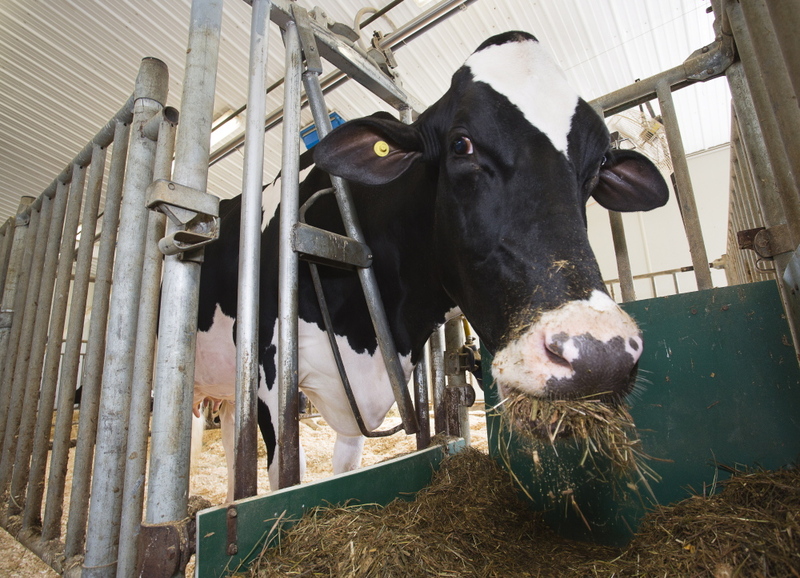 About 150 dairy cows were released from their pen on the night of Nov. 29 or early morning Nov. 30, Roy said. Workers returned them to their pen. A few hours later, about 500 cows were released and one died of a broken neck after falling into a drainage hole. The dead cow was valued at $2,000 or more. The culprits also stole two headlights from a truck in a garage, meat from a freezer and a BB or pellet gun. They also turned off cooling tanks used to store milk, but they were turned on again before about $10,000 worth of milk had spoiled. Clinton police think the suspects then went to a nearby farm and shot out four streetlights and moved a tractor. Moody said authorities have not ruled out the possibility the China and Clinton cases are related. The incidents also have similarities to an incident that occurred “in the last week or so” on a farm on Pleasant View Ridge Road in China. He said an unspecified number of cows were released there as well. “We don’t think it’s an isolated incident at this point,” Moody said, adding that police were looking into possible suspects and motives.